Tom Flynn is a graduate of University of Texas with a Bachelor of Science Degree in Marketing/Sales with over thirty years of professional marketing, advertising, sales and operations management experience. His career started as a Marketing Manager for Pepsi Cola USA based in Dallas, Texas. He was recruited by The Price Company (Price Club) as a Vice President Director of Marketing, handling all new retail location openings, creation of marketing literature, word of mouth marketing efforts to promote Price Club membership and sales. Tom transitioned into the large format graphics industry as the Vice President Western Regional Sales Manager for Graphic Design Technologies, Inc. a Sonoco Products Company responsible for managing sales for thirteen western states. After fifteen years of corporate management experience, Tom established a marketing consulting firm which became a Defense Contractor for United States Marine Corps Recruiting Command/Security Battalion (Marine Corps Military Police), United States Naval Commander Navy Installations Command/CNIC along w/NCIS and the United States Air Force Recruiting Command/Force Protection (Air Force Military Police). As an entrepreneur, he assisted with the development of marketing/advertising programs for Military Recruiters as well as establishing operational Military Law Enforcement Investigative Training/Equipment Fulfillment Services. In 2012, Tom restructured the firm to create MARKETABLE which focuses on assisting small and medium sized businesses and organizations w/operational, marketing, advertising and sales management issues. MARKETABLE is a consultant to Temecula Valley Unified School District and a number of small to medium sized businesses located in Southern California and Texas. 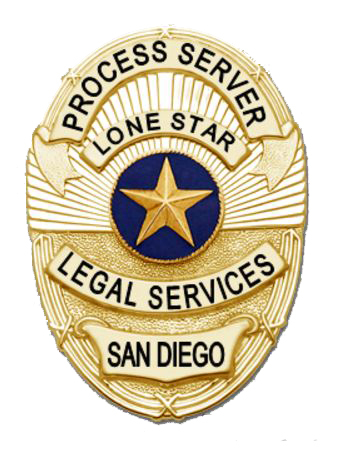 In addition, Tom established Lone Star Legal Services working directly for San Diego based Law Firms and Attorneys specializing in Family Law, Business Fraud and Personal Injury. Tom’s specialized skills at document analysis, asset searches, background checks and has allowed him to benefit law firms by employing him as an Independent Contractor to serve their clients. 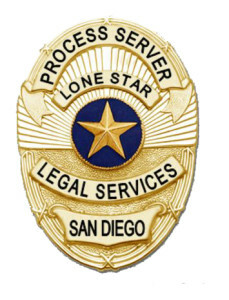 Lone Star is registered via County of San Diego as a Process Server and Professional Photocopier so he can provide Subpoena Deposition Officer services. Tom is a Licensed California Notary. Based in San Diego, Competitively Priced Rates, Flexible, Highly Trained, Resourceful, Ethical and Results Oriented.